Zev Eleff is the chief academic officer of the Hebrew Theological College, Chicago. 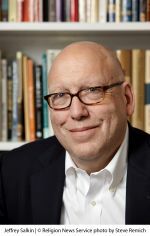 He is the author of five books, including Living from Convention to Convention: A History of the NCSY, 1954–1980, and editor of Mentor of Generations: Reflections on Rabbi Joseph B. Soloveitchik. He has also authored more than thirty scholarly articles. Helen Kiyong Kim is an associate professor in the Department of Sociology at Whitman College. Her work has been published in the Journal of Jewish Identities and Forward and has been anthologized in several publications. 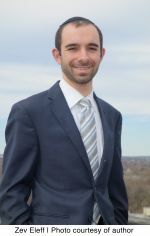 Noah Samuel Leavitt is an associate dean of students at Whitman College and has served as the advocacy director for the Jewish Council on Urban Affairs. His work has appeared in a wide range of publications including Contemporary Jewry, Slate, the International Herald Tribune, and Forward. Brent M. Rogers is a historian and documentary editor for the Joseph Smith Papers. He is also an instructor of history and religious education at Brigham Young University, Salt Lake Center. Rabbi Jeffrey K. Salkin serves as the senior rabbi of Temple Solel in Hollywood, Florida. He is the author of Putting God on the Guest List: How to Reclaim the Spiritual Meaning of Your Child’s Bar or Bat Mitzvah, winner of the 1993 Benjamin Franklin Award for the best religion book published in the United States, and The Gods Are Broken: The Hidden Legacy of Abraham (JPS, 2013). Kenneth Seeskin is Philip M. and Ethel Klutznick Professor of Jewish Civilization at Northwestern University. 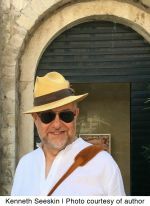 He is the author of several books, including Searching for a Distant God: The Legacy of Maimonides, winner of the Koret Jewish Book Award, and is the coeditor of The Cambridge Guide to Jewish History, Culture, and Religion, winner of the National Jewish Book Award. Gil Troy is a Distinguished Scholar of North American History at McGill University. A columnist for the Jerusalem Post and the Daily Beast, he has authored twelve books, including Moynihan’s Moment: America’s Fight against Zionism as Racism and Why I Am a Zionist.